Art as Usual: New Shop Items!!! I posted a couple of new items in my Etsy shop this afternoon. I thought I'd share them with you. 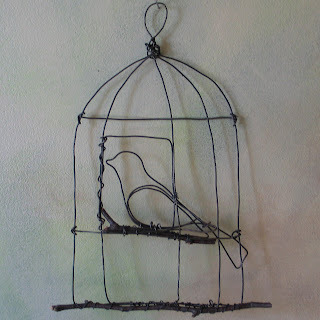 The birdcage is a comple tely new design for me. I love the silhouette look it has to it. 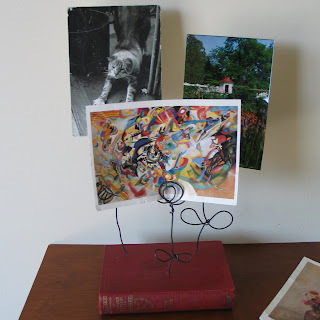 The second item is a variation of the altered book photo holder I shared with you a couple of posts ago. Much simpler but still loads of style. I like the blooms as is but having the option of using it as a desk accessory is just so fun. 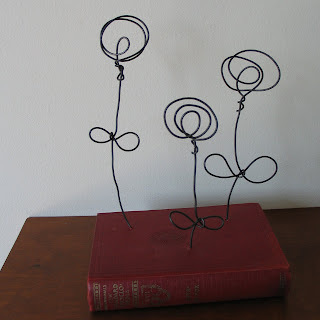 I love functional art. So here are a couple of photos-one with the postcards, etc. and one without. Hope you like them!! !